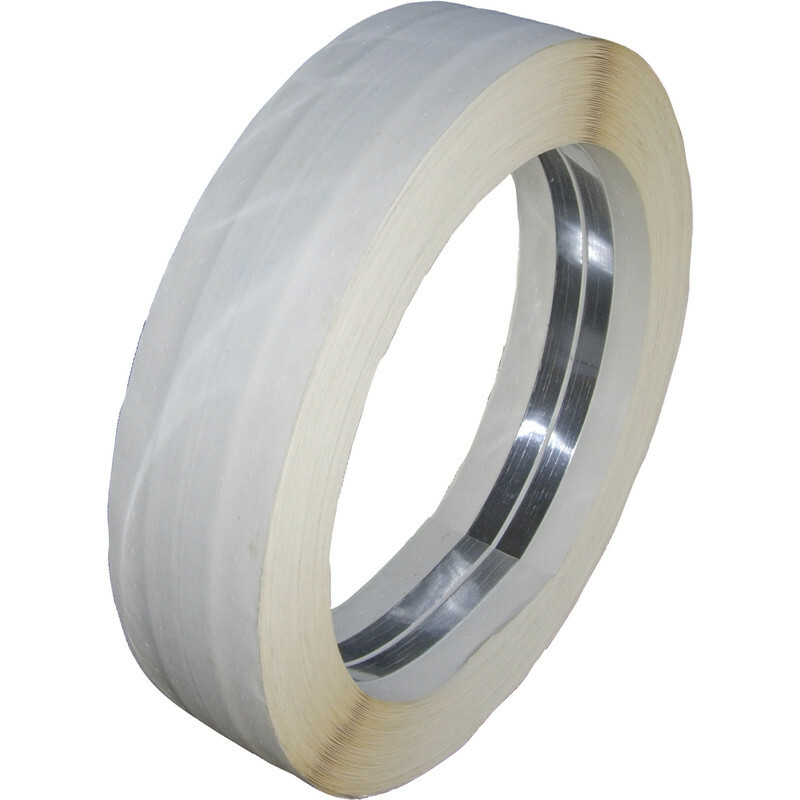 Flexible metal corner tape eliminating the need for metal beading. Plasterboard Corner Tape 30m x 50mm is rated 4.0 out of 5 by 9. Rated 4 out of 5 by Sat1602 from Clean sharp corners Used for home office project and found easy and effective. Sharp corners internal and external....lost a star as occasionally lifted at tip of joint....fixed with a panel pin. Rated 1 out of 5 by Pearwood from Really disappointing In principle, this should work better with jointing compounds like easifill to provide a much lower profile corner bead, requiring less filling material, and less time. In reality it frequently failed to bond into the base coat, meaning it lifted in places as it dried. It resulted in more work than it saved. I binned half the roll. Rated 5 out of 5 by Anonymous from Good value Very good value very fast delivery and good tape. Gave a great finish. Rated 5 out of 5 by diyabz from Easy to use Having never used this product before, I found it really easy to use and would recommend to other DIY users. Rated 5 out of 5 by MJoh from Excellent product Used to join the plasterboard where the sloping ceiling meets the wall. Sharp edge/corner obtained. Nice result. Rated 1 out of 5 by will12345 from How has this got so many 5 stars! Bought this on the back of the reviews but was vefry dissapointed in the results. Im not a professional plasterer but have done a lot over the years and failed to get any kind of crisp edge as there is no metal edge to plaster up to. Perhaps useful if you are just taping and filling but not for skim coats. Rated 5 out of 5 by JLynnMK from Gr8 DIY plastering tool Used this on our DIY garage conversion. Had vaulted ceiling joints which were less than perfect. Used with ready mixed jointing plaster which we spread liberally with small spatulas along wall length without delay, pushed tape into plaster and used spatula to squeeze out excess. Don't overwork, 1 or 2 passes max and leave some excess to blend. Perfect edge profiles! This is an excellent product. Also used around windows and door without need for solid metal braces.